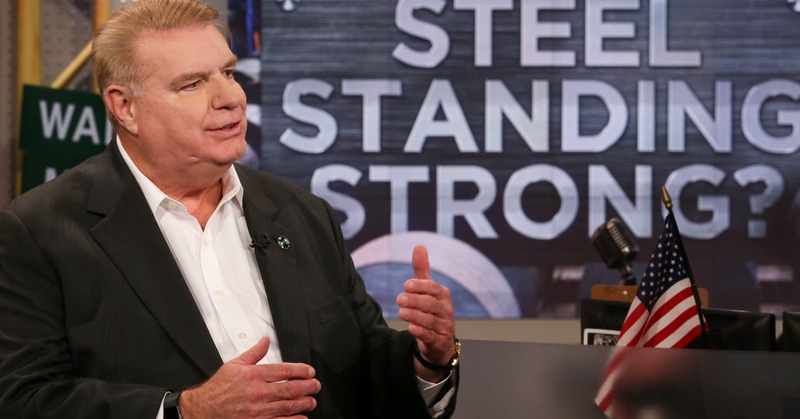 Investors “have to look at the overall economy” and not focus so much on President Donald Trump’s tariffs on steel imports when considering whether to invest in Nucor, the country’s largest steel producer, its CEO told CNBC on Tuesday. The fate of U.S. steelmakers has been in question since the president’s tariffs came into effect, as some raised concerns that they could raise the price of steel globally to unsustainable levels. In October, Cramer himself expressed concern that the tariffs were “hurting” the steel industry, citing Nucor’s third-quarter earnings announcement in which the company forecast lower earnings for the fourth quarter. But if you ask Ferriola, a strong economy, higher demand and stable end markets far overshadow the tariffs’ effects on his company’s business. “We’re on pace, Jim, to have our best year in history,” the CEO added, noting that 23 of Nucor’s 24 end markets “are either stable or increasing” heading into the fourth quarter and the first half of 2019. Ferriola also said Nucor’s shareholders shouldn’t worry about a potential Democratic sweep as a result of Tuesday’s midterm elections. Shares of Nucor ended Tuesday’s trading session 1.74 percent higher, at $62.43. In October, the company reported that profit tripled in the third quarter as higher demand and higher prices fueled sales growth.